Now, though, Piko Interactive has confirmed that it has acquired the rights to the game along with its source code, hinting that it may well go on to finally finish the game's development 20 years later. Piko Interactive has a history of restoring lost games, notably resurrecting another lost N64 title, 40 Winks, via Kickstarter just last year. We could well see a similar crowdfunding campaign for this project in the near future - potentially being something for any eager retro fans to keep their beady eyes on. If you're interested in rare or lost games and have fond memories of the N64 era, make sure to keep an eye out for this one. That's kinda neat. I wish someone could do this with Robotech: Crystal Dreams. @tabris95 "Every party needs a pooper, that's why they invited you." Never heard of it. Thats cool I guess. Sweet, I love stuff like this. There are many uncompleted games because of company business practices not game quality. Hope they do more of this. @nkarafo That was never more than a tech demo. The thought is nice, and personally, I would also love to see it, but it is not the same situation. @tabris This game was already nearly finished, so why not? The reason it was never published may well be because the game was made near the end of the N64's life cycle, so it wasn't worth it financially, to release it, but that says nothing about the game itself, and besides: we also have N64 VC titles, so this will be no different. Perhaps it will even come to the Switch, like all the Neo Geo Arcade ports. Does anybody know where one could buy 40 Winks nowadays? I haven't found any information. I understand the fact that it was a Kickstarter project, but they sometimes can be bought directly from the developers after the crowdfunding ends. @Moroboshi876 there is a terrible port for PC on Steam available, but other than that I'm not sure. @Moroboshi876 There's a link on the Kickstarter page. @ThanosReXXX I was about to say the same thing about Lion-O! @BionicDodo Haha, yeah, he does really look like him, doesn't he? A bit bulkier than a Thundercat, but otherwise pretty similar. @Alucard83 Except... that was already released. At least, the version that was completed (not the 64DD version that never got past the early stages). It was on the GameCube. @tabris95 Same here, although I find that Star Fox Adventures is one of my favorite Star Fox games, along with Assault. And the Star Fox version of Krystal I find to be better than the Dinosaur Planet version. I always thought Survivor Day One looked really awesome, and had a great concept, but Konami cancelled it. Wish that one could be resurrected. @tabris95 Oh yeah, what reason? And why should that reason dictate whether or not they are finished? @JackEatsSparrows 100% for Robotech, that game would of been incerdible. This is great. Not the bigegst Piko fan but i'm all for resurrecting lost games. 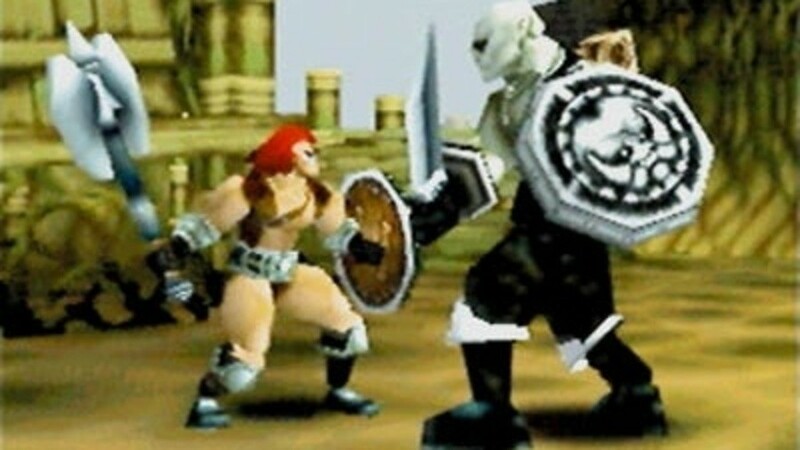 @YANDMAN Did you ever get a chance to play the Beta ROM that GameTek had at E3? It's not too sturdy, but you can spawn in finished assets like Zentraedi cruisers, fighters, and battle pods. I think you can even dogfight a little. It's neat to see what could have been. I think you can even land in the SDF-3 IIRC. Looks kinda cool in that top image. Would actually like to see it running in VR, even if just in stereoscopic 3D on a virtual screen, because VR tends to show of simple 3D graphics like this really well. Never heard lf this game? Absolutely fine interested. My N64 needs something new. Getting to a point of understanding somebody else's 20-year-old code structures and art assets will likely take longer than making a new game from scratch. And while that -is- still an interesting endeavor in itself, there is probably a reason the game wasn't ever finished in the first place. 40 Winks on N64 was about 99% complete, and people knew it to be a great game already. The case might not be the same with this one. Too many pointless campaigns going on in the industry these days. @tabris95 there’s a reason why Dinosaur planet was changed to starfox adventures. Like you said, it should stay that way. Piko Interactive has some good games but the quality of their physical releases is similar to cheap Chinese reproductions. @tabris95 Ah let the N64 have its time for "new" games. NES and SNES get plenty of new games and all the N64 games is rom hacks. Great hopefully it'll be included in the N64 Classic Edition along with EarthBound 2. 40 Winks was originally made for the N64 and the PS1, the latter did get released. Nintendo Power reviewed the N64 version so presumably it was pretty complete as well (I know there was a ROM released many years ago, the only trouble running it in an emulator was unemulated copy-protection though someone quickly patched that). The one other unreleased N64 game I can remember Nintendo Power reviewing was a FPS called O.D.T. which was released on PS1, and seeing as it was a Psygnosis game, have to wonder if Sony was involved in that game's cancellation. @JackEatsSparrows No but i've played it at home on my N64. @StephenWolf Nice to know, thanks! I know it's on PSX, but honestly it doesn't look like a really good game, and if I got it (not at 60 bucks, that's for sure) it would be on N64 just for the novelty factor. @tabris95 I was really, really looking forward to Earthbound 64 at the time. No problem. I'm hoping the finished N64 version is better than the PSX one. This will be worth it only if it's as blurry and low-res as the first screenshot. Nintendo cancelled quite a few N64 games. EarthBound 64, Kirby Bowl, Jungle Emperor Leo, and Echo Delta come to mind instantly. Eternal Darkness, Resident Evil Zero, and Dinosaur Planet fortunately released on Gamecube. The N64 could have never done them justice the same way the Gamecube did. I wouldn't mind seeing this released someday but I probably wouldn't play it myself. I imagine this will be one of those games that I watch on Let's Play videos from time to time. This is fantastic news, the game is supposed to be near complete. Dragon Sword was reviewed by 64 Magazine before release, but publisher MGM decided to not release it.